To pass such a meticulous scan, the object and its visual structure need to be incredibly precise, showing tangible sides of a model like scabrous rock at a micro level. In order to create a replica of an authentic physical world in VR, RealityVirtual exploits the advantages of 3D scanning and high-resolution photos to reproduce setting closest possible to absolute detail. “Everything is just overkill beyond belief.” — according to Che de Boer. 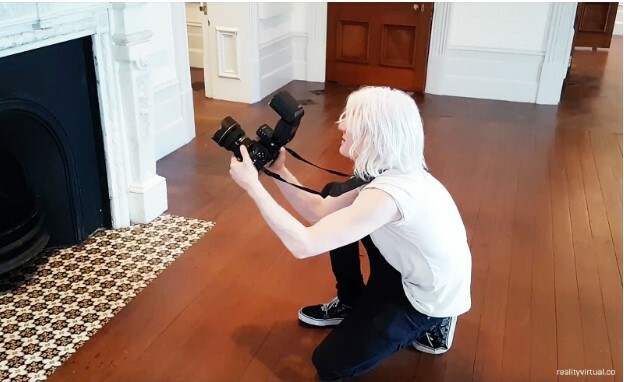 Simon Che de Boer takes high-resolution photos at the Sir James Wallace Homestead. Che de Boer’s also strives to secure the significant pieces of New Zealand history and ethnology, starting from nature scenery to architectural wonders, are to be passed to next generations. And meanwhile, all interested can feel them through VR like they are real and palpable, or even in more details than if they were real. As Che de Boer made his mind to initiate VR, the choice of Unreal Engine came naturally. It was a logical step, since it was the easiest tool he could use right away. The core of RealityVirtual is in photogrammetry with its high-precision photos catching details unseen to human eye. 3D scanning also detects billions of data elements and then filter them out to millions. Due to the great data volumes the speed of its refining and playback is of crucial importance. “Everything we’re doing with Unreal Engine is just on a massive scale,” Che de Boer remarks. He also mentions that NVIDIA’s new architecture enhances the operational speed and adds more power making the whole process ‘hugely exciting’. Thanks to it, RealityVirtual’s end scenes run at 90fps at 1080p even despite the huge data load and added volumetric fog and planar reflections. Using these technologies enables RealityVirtual to give real-time involvement into the deeply textured surroundings at playback speed that only enhances the fascinating experience. Che de Boer affirms that without either of these technologies they’d be lost on their way to make this whole idea a true reality. 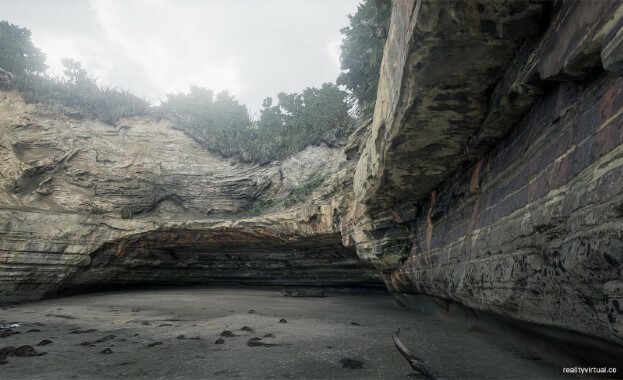 Both wild and engineered magnets of New Zealand are a part of other RealityVirtual’s VR projects, these include magnificent Mana beach and St. Matthew-in-the-City church. In future, Che de Boer tends to initiate super-real VR representations of other numerous surroundings and memorials both for cultural legacy and personal deep experiences that would feel like a memory spot you’d especially like to visit again. Beach bay in Mana, NZ rebuilt based on scans and photos, and conveyed in real time as part of a VR experience. Speaking about himself, Che de Boer confesses to truly admiring the detail as in reality it’s sometimes too delicate to comprehend. He admits that he wants to actually scan the Mona Lisa so he could raise and actually see it. Che de Boer wishes for RealityVirtual’s to inspire the production of enhanced content and efforts in shaping of cultural legacy. He feels the need to capture things so that people can see and even feel them through. And NVIDIA and Unreal Engine are the tools that empower this idea come true.